The Cook's Companion has established itself as the kitchen 'bible' in over 500,000 homes since it was first published in 1996. For 21 years from 1976, Stephanie Alexander was the force behind Stephanie's restaurant in Hawthorn, a landmark establishment credited with having revolutionised fine dining in Melbourne. From 1997 to 2005 Stephanie, along with several friends, ran the Richmond Hill Café and Larder, a neighbourhood restaurant renowned for its specialist cheese retailing. In her recently published memoir, A Cook's Life, she recounts how her uncompromising dedication to good food has shaped her life and changed the eating habits of a nation. 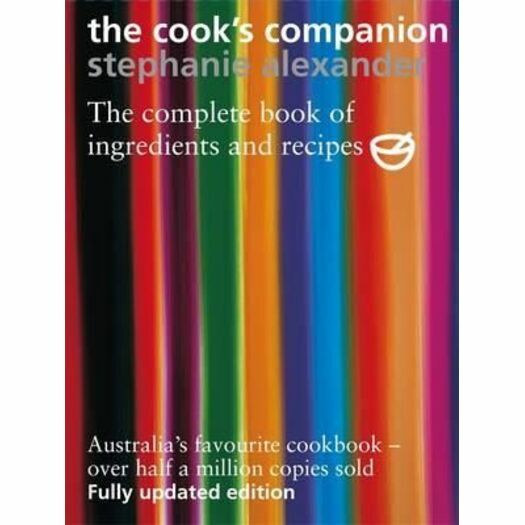 One of Australia's most highly acclaimed food authors, Stephanie has written fourteen books, including Stephanie's Menus for Food Lovers, Stephanie's Seasons and Stephanie Alexander & Maggie Beer's Tuscan Cookbook (co-author). Her signature publication, The Cook's Companion, has established itself as the kitchen bible in over 400 000 homes. With characteristic determination, Stephanie initiated the Kitchen Garden at Collingwood College in order to allow young children to experience the very things that made her own childhood so rich: the growing, harvesting, cooking and sharing of good food.